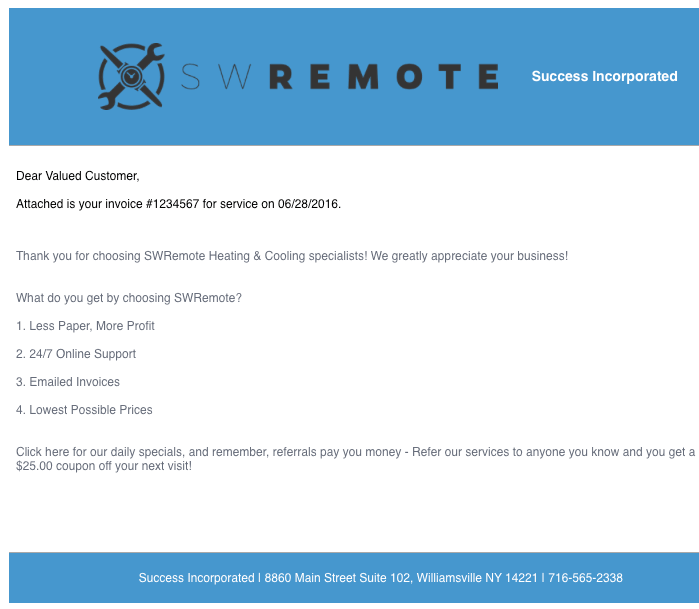 How do I format the e-mails that SWRemote generates? In order to make these changes you will need an SWRemote Administrative Account to access our Admin Website ( manage.swremote.com ) . If you don't have access you will need to speak to whomever in your office has access to make these changes. Login to our Admin Website ( manage.swremote.com ) and click the Companies Tab along the left hand side. 2. Scroll down until you see "Invoice Email Settings"
3. fill in the Subject and From Address. Even though the Subject will remain static, the unique Invoice number will always generate for this field. *4. You can add multiple addresses to the CC Address and BCC Address. -Type an address into the text box and then click the + icon to add an address. 5. 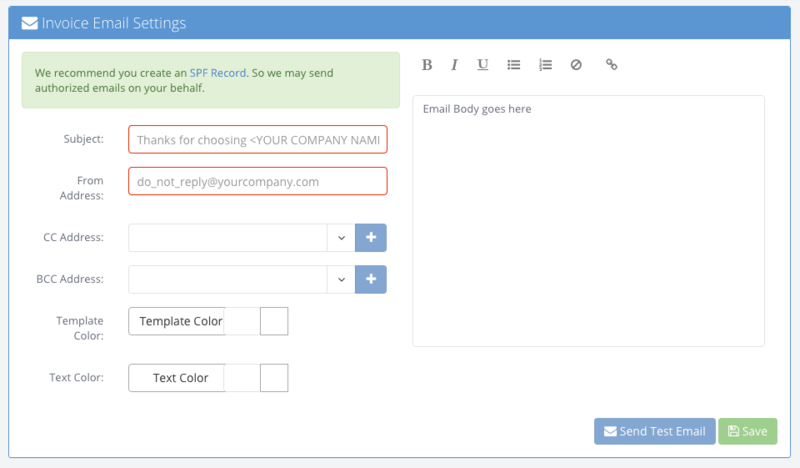 Along the Right hand side you can create and customize an e-mail Body. -Notice the formatting buttons on top, similar to a word processor. The buttons are, in order, Bold, Italics, Underline, List,Numeric List, Remove Formatting, and Hyperlink. 6. You can control what the E-mail Template will look like. The Template Color and Text color will control what the Invoice looks like. The Template Color will show as the header bar on the top and the footer bar on the bottom of emails. The Text color will show as the text that lays on top of the Header & Footer bars. Your Logo will show in the Header by default and the company information will display in the Footer. 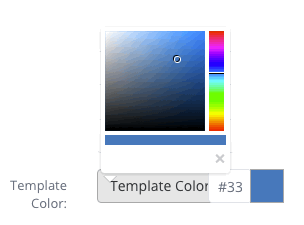 You can choose the colors by using the color picker. Or you can paste in the Color Hex Code after the # sign, if your visual identity has specific colors associated with your brand. 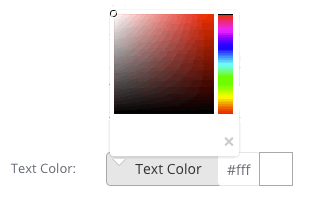 The color you choose will display in the Square box to the right of the Hex code. 7. Finally, you can send out a Test e-mail to any address to view an example of how your e-mails will format. As long as a Technician E-mails an Invoice Receipt to a customers, even if the address is incorrect, a copy of the e-mail will come to your assigned CC/BCC inbox.